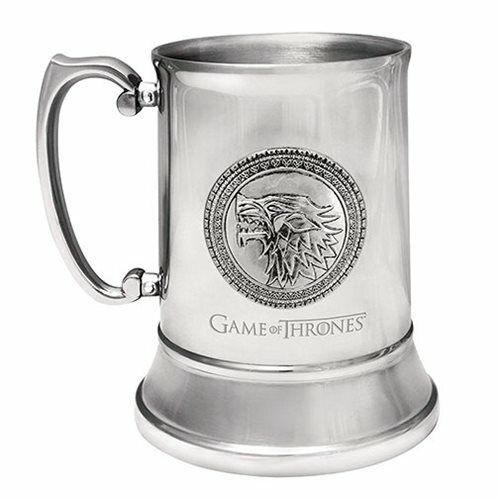 Get ready for a night to remember with the Game of Thrones Stark Stainless Steel Stein! Whether it be mead, ale, or cider you re drinking, you can show where you stand in the Great War with this stainless steel stein, adorned with the House Stark sigil. This stein holds 16 ounces and comes packaged in a full-color box.